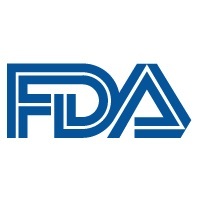 The US Food and Drug Administration (FDA) has granted breakthrough therapy designation to a drug candidate for post-traumatic stress disorder (PTSD). The product is cyclobenzaprine HCl sublingual tablets, known as TNX-102 SL, the product is made by Tonix Pharmaceuticals. According to the drug company, the approval was granted on the basis of a phase 2 study known as AtEase in subjects who have PTSD associated with their military service.The trial was a 12-week, randomized controlled study. A phase 3 study will begin in the first quarter of 2017, the company said. The evidence of the phase 2 trial showed the drug "may demonstrate substantial improvement over existing therpies one or more clincally significant endpoints," the company said in a news release. An estimated eight million people in the US have episodes of PTSD, the company said. Current treatment is generally with selective serotonin reuptake inhibitors or serotonin-norepinephrine reuptake inhibitors. Tonix Pharmaceuticals Holding Company is based in Manhattan.